Hot on the heels of Lady Antebellum's You Look Good World tour, the multi Grammy winning group hit the road once again. The foursome will also tease some spontaneous surprises and old favorites during their performances. 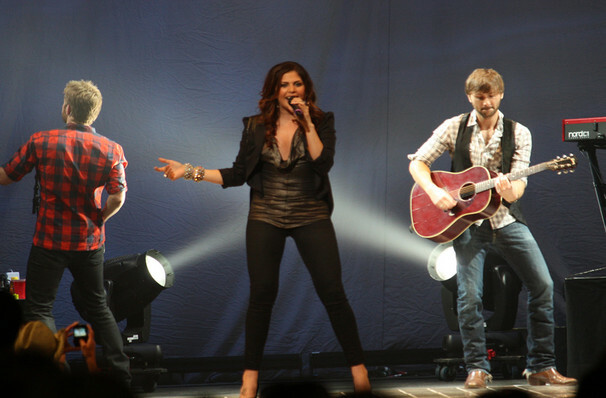 Since forming in 2006, Lady Antebellum have undoubtedly ascended to the rank of country music royalty. 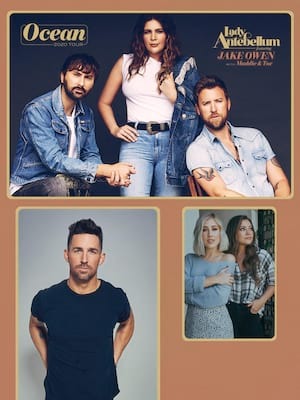 Comprised of Hilary Scott, Charles Kelley and Dave Haywood, the Nashville trio's blend of pristine pop and country twang have won them seven Grammys and millions of sales worldwide. 2010's mournful ballad Need You Now probably remains the group's best known track, and is one of the most downloaded singles in history! Their new record Heart Break features the swaggering, horn-filled single 'You Look Good'. Sound good to you? Share this page on social media and let your friends know about Lady Antebellum at Smart Financial Center. Please note: The term Smart Financial Center and/or Lady Antebellum as well as all associated graphics, logos, and/or other trademarks, tradenames or copyrights are the property of the Smart Financial Center and/or Lady Antebellum and are used herein for factual descriptive purposes only. We are in no way associated with or authorized by the Smart Financial Center and/or Lady Antebellum and neither that entity nor any of its affiliates have licensed or endorsed us to sell tickets, goods and or services in conjunction with their events.